Residential property developer Bostoen has been providing households with new homes for more than 40 years. To successfully deploy their digital and regional strategy, they called on Combell for web hosting, app hosting and IT outsourcing. 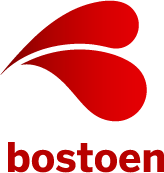 Bostoen is a leading residential property developer, which has been in existence for 40 years, employs 300 people and has a turnover of over 100 million euros. Bostoen develops new projects for households – both apartments and homes tailored to the needs of the customers, in all sorts of building materials, ranging from masonry to timber frame. In this regard, the company keeps the emphasis on sustainable, affordable and comfortable living, with respect for people and the environment. In the first years, all the collaborators were grouped in the head office in Drongen. However, after some time, Bostoen opted for a regional growth strategy, in order to be as close as possible to its customers. But how can you make sure that the organisation can continue to operate as a whole and that all employees can easily work together on documents, schedules, etc. when employees are spread over multiple offices? The solution? Cloud hosting! This way, the company can be as close as possible to its customers, but its employees are connected to each other in the most homogeneous manner possible. 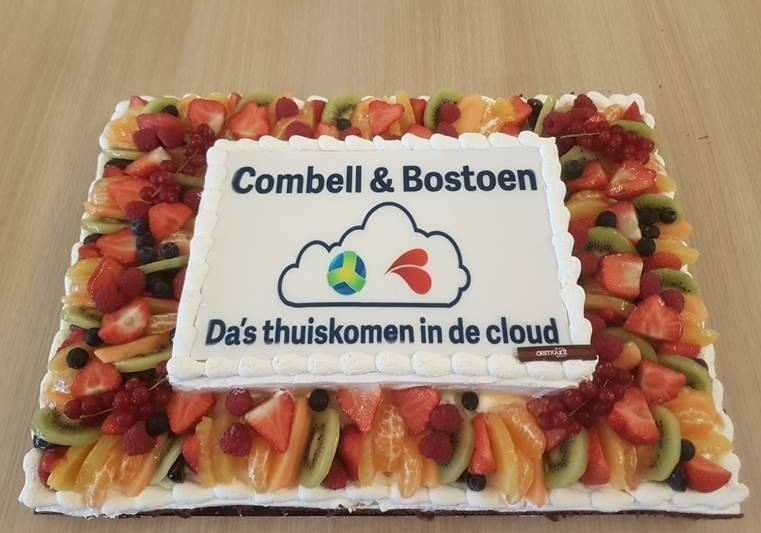 And since the website of Bostoen has been hosted by Combell for many years, in a fully satisfactory way, the company did not take long to decide to call on Combell for Cloud hosting too. 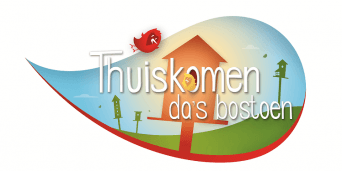 “There is a good match between Bostoen group and Combell. As companies and teams, we share the same values. 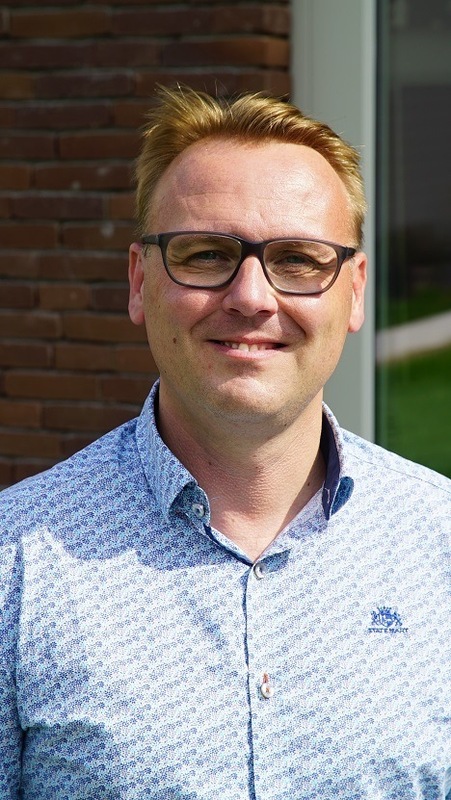 We are both leading market leaders with an innovative mindset”, claims Joery Michiels, Head of Corporate Sales & Marketing at Bostoen. 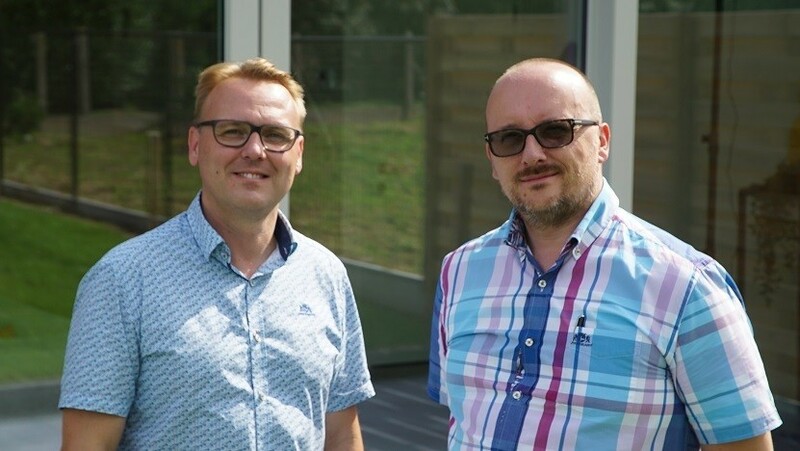 By switching to cloud hosting, Bostoen has been able to open a first regional office in Zellik, followed by a second one in Loppem, near Bruges. As for the head office for East Flanders, it will move to The Loop, near Flanders Expo. There was, however, another reason why Bostoen picked Combell cloud hosting. In 2016, the company had to consider purchasing a new server infrastructure, as the existing servers were obsolete and needed to be replaced. But the question arose as to whether it would not be more profitable to outsource the hardware. Bostoen therefore looked at the different options, discussed with various partners, and eventually chose cloud hosting at Combell. “The cost-benefit analysis indeed showed that cloud hosting at Combell would not be more expensive than having to purchase our own new hardware, licenses, etc. The only difference is that the hardware Combell uses is regularly replaced – while most companies expect a life span of 5 years for their hardware. 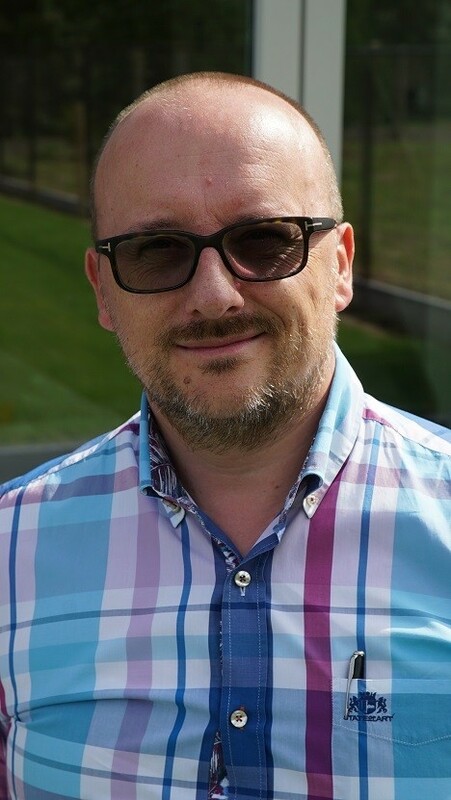 Cloud hosting thus allows you to enjoy the best performance and the latest technology in terms of server structure, at all times, even 2 or 3 years later”, explains Steve Wittouck, Head of IT Operations at Bostoen. And there is yet another benefit: flexibility. Steve Wittouck: “If we need new servers today, all we have to do is give Combell a call, and the new servers will be ready the very next day”. Outsourcing the hardware also facilitated decentralisation, which was a key element in Bostoen’s regional strategy. The 300 employees can now work in the cloud in different provinces, close to their customers. Thanks to the cloud, they can work according to the “any place, anywhere, any time” principle. And that, without having to install extra hardware in the various offices – only a good Internet connection is required. But switching to the cloud is a big decision that is not to be taken lightly. Bostoen employees indeed do their work using several tools, which should be moved to the cloud: SharePoint (for sharing and updating documents), Flows (to monitor the building process), Centric (the ERP solution) and a new software, Solutio (for planning). As an IT manager, you may have some doubts… Steve Wittouck too wondered “Will the apps and tools run slower in the cloud than if they were hosted in-house?”. But the fact that Combell uses high-end infrastructure quickly allayed these concerns. According to him, the expert guidance provided by Combell during the migration process was incredibly helpful. Various take-off meetings have been held to analyse the existing environment and map it. Later, a solution was sought to migrate to the new environment. Every time, Combell drew up an infrastructure proposal, with a roadmap on paper. As a result, the migration process went very smoothly. No big bang, but multiple phases, in order not to scare users off. The necessary stress tests were also carried out after each step, in order to keep the process under control. And when adjustments needed to be made, Combell was always there to provide professional advice. Steve Wittouck: “We noticed that the way we used to work with Centric was not ideal. Nonetheless, many of our collaborators use that ERP package, whose performance was thus really important to our company. Combell advised us to work via Terminal Server, in order to spread the load over the various terminal servers. This helped significantly improve the functioning of the application”. As part of its digital transformation, Bostoen plans to release various digital marketing tools in 2017. In November 2017, the website, which had long been hosted by Combell, will be replaced by a new version. Since we all live in a mobile-first world, the new website design will obviously be fully responsive. A marketing automation platform will also ensure better lead qualification. Based on conversion via the website and analogy conversion, Bostoen is able to develop a better customer segmentation approach and knows who is really interested in a specific product. 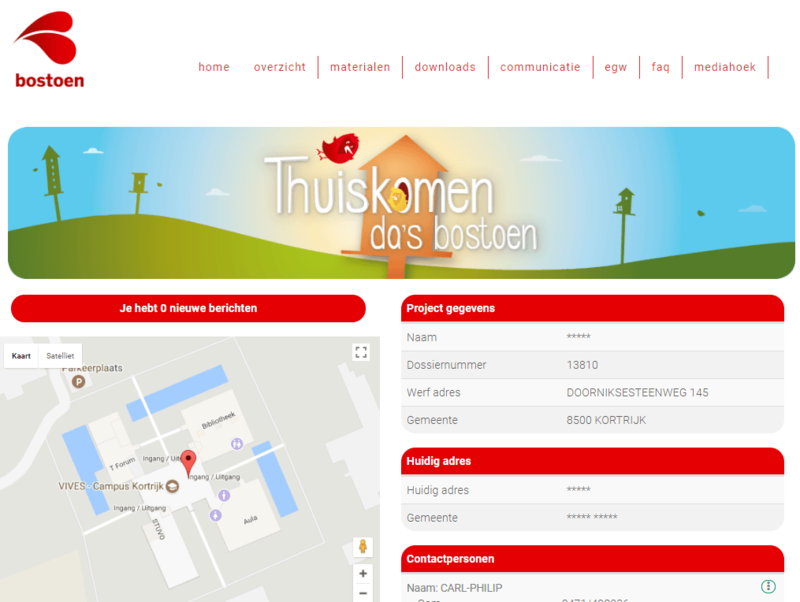 Via this platform, Bostoen informs existing customers about how they can optimise the experience of their Bostoen homes, and prospects receive information about new housing units, forms and projects. 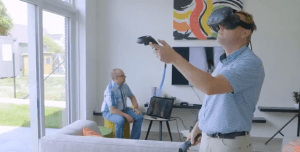 The VR application, which is hosted by Nanopixel (the Roeselare-based company that developed the VR software), is definitely peculiar. It creates a hybrid experience, by making extensive use of gamification principles. In the various regional show homes, the software is running on a video game console, which is connected to a TV screen and a headset. Prospective customers can look around the place and choose the finish materials they like at the same time: floor and wall tiles, interior joinery, sanitary facilities and lighting. The virtual configuration allows them to see what the combination of different materials looks like. This way, prospects can virtually enjoy the appearance of their future home, without having to lay a single brick. However, the greatest marketing tool is the Customer Zone app, a very handy tool that allows users to closely monitor the whole building project, from planning permission and laying the first brick to the final acceptance of the work. It has many benefits: all documents are centrally managed, users can find information about all the chosen materials, communication is displayed in a timeline… In a nutshell, it is a very handy customer-centric app. The Customer Zone app was originally available as a web application, but in 2017, it was decided to make a mobile app out of it. For customers who are on the construction site, it is indeed much easier to use a smartphone or tablet to communicate with Bostoen. An essential addition to the app is the Media Corner feature, which makes it possible for the customer to take pictures, add text and send everything directly to Bostoen with the push of a button. As for Bostoen, it can inform customers, e.g. about open days. Obviously, this app is also hosted by Combell. Website hosting, app hosting, IT outsourcing of traditional hardware… Combell, which is an all-round hosting provider, takes care of everything. From the original web server, which Bostoen has been renting for many years to host its website, the Combell hosting infrastructure has been developed with the addition of 17 cloud servers (firewalls, remote desktops, file servers…) and a backup server, the virtualisation of physical ERP servers, etc. 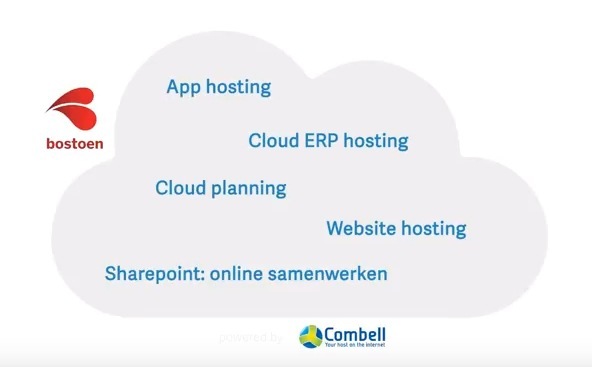 Read more case studies about IT outsourcing, cloud hosting and website hosting, and find out how Combell found solutions to these specific hosting issues!